In this practical guide to figure drawing, Helen Birch uses life studies and portraits by 100 contemporary artists to explain techniques, materials and experimental approaches for both beginners and more experienced students. 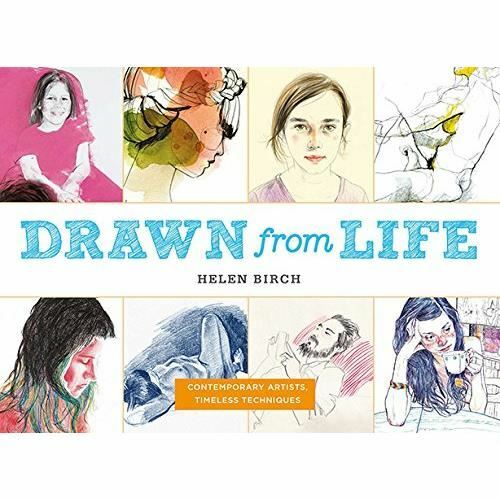 In this handy guide to figure drawing, tutor Helen Birch explores 100 life drawings and portraits by contemporary artists. Of practical use to beginners and experts alike, Drawn from Life is a celebration of the most playful, personal, and experimental approaches used by modern artists and illustrators. Traditional techniques sit alongside new media in neatly organized entries so you can dip in and out for advice or flick through for inspiration and ideas. This is the perfect book to give you the confidence to try new techniques and explore unfamiliar styles. The human body is one of the greatest subjects in art, and one of the most varied. Drawn From Life highlights and examines the different techniques, qualities, and effects of each piece. Offering a bold, refreshing change from other run-of-the-mill figure drawing books, it adopts the unique approach of teaching drawing via the images themselves, focusing on the way portraits can be treated using a whole range of different techniques, rather than looking at how to master one single style. Practical tips are provided throughout the book on topics such as tone, perspective and colour. Readers are encouraged to discover the ways in which similar subjects and styles are executed by different artists, while also being inspired to use the tips in the book as a way of building on existing skills. Organised into chapters according to the technique exemplified - line, tone, colour, wash, shading and mixed media-artwork is featured large and luscious, accompanied by extended captions, insightful tips and practical advice. A visual index at the front of the book ensures easy navigation.